Mick Schumacher, who is carrying on in his father’s footsteps and hopes to make it in Formula One soon, said his best memories were of when the pair would go to his local karting track even when it was closed. Mick is proving himself as one of motorsport’s top up and coming talents and having won the Formula 3 European Championship this year has cemented his claim for a seat with an F1 team. The 19-year-old said his father would take him to the local track as a child, in Kerpen near Cologne, to mentor him and give advice. Speaking in an RTL documentary called ‘Schumacher - The Next Generation’, Mick said: “We went there to practice driving. The F3 champion said eventually a time came when his father sat him down by the side of the track and asked how much he liked racing and if he wanted to emulate his achievements. Mick said: ”Dad finally asked what we wanted to do. “Of course, I said it very clearly, I want to do it professionally." Mick was asked about his relationship with Formula One bosses who worked with his father and said he enjoyed hearing about Michael’s huge success from his friends. 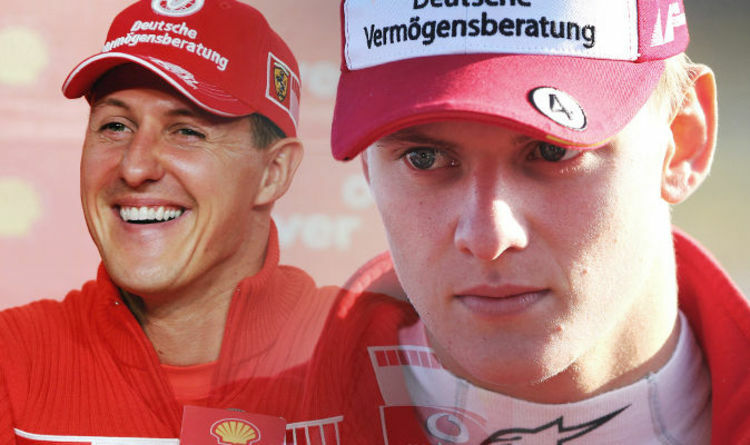 Schumacher junior said he often talks with former Ferrari technical director Ross Brown and team boss Jean Todt who both now have senior roles at Formula One and the FIA respectively. Mick added: “The story is very big with Ross, Jean and my father. “Of course, I talk to them and it's interesting to hear how things were back then." Michael and Mick are not the only Schumachers in motorsport, his cousin David races in Formula 4 and Mick said the pair love meeting up to share stories about the sport. Mick said: ”We rarely see each other, but if we meet, it's always funny. "Then we talk about sports, because I know Formula 4 pretty well, I raced there for two years. “And if he has questions, I am always available.